We are happy to provide parking to Cambridge High School pupils who have signed a contract and provided payment for the spot. 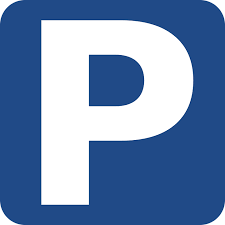 Parking is permitted between the hours of 6am and 7pm, Monday through Friday while the Cambridge High School is in session. Anyone parking illegally will be towed. Parking is $350 per year. Sometimes once the new school year starts, students receive a spot from the school. Should this happen to you, you will be refunded your fee, minus a $25 processing fee. Refunds will be prorated per quarter. Should a spot open up part way through the year, the fee for the spot will also be prorated. Please place your sticker on the outside of the car on the left rear windshield. Should you permanently change cars, please put sticker on new car. If you are using a different car temporarily, please email moriningstarparkers@gmail.com so we can update our records. If you need a new sticker, there will be a $10 fee. Please do not share your sticker with anyone. We must have the car and tag on file. If you find you no longer need your parking spot, please notify us immediately for a refund. Please do not pass your spot over to a friend as there are people on our waiting list who are in line to receive the next spot. We have 40 spots available. We do have a waitlist. When the school opens up spots for seniors for the new school year, we can add parkers on the waitlist. Please email morningstarparkers@gmail.com for all questions. Please be aware the parking is run by volunteers and processing may take a little longer. All emails will be answered.